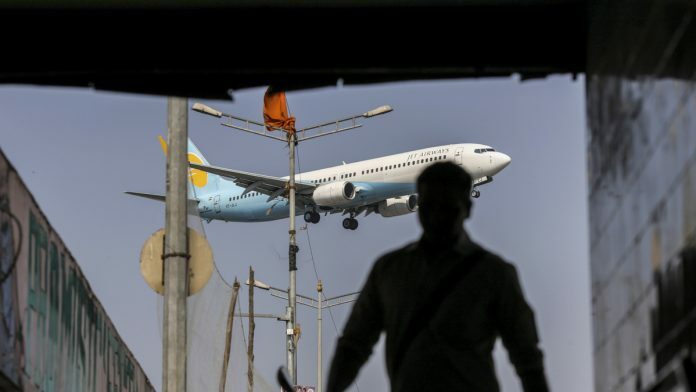 Mumbai: Cash-starved Jet Airways on Tuesday alleged that non-payment of salaries had adversely affected its members’ psychological condition, which puts the safety of the airline’s flight operations at risk. In a communication to the Directorate General of Civil Aviation (DGCA), the Jet Airways Aircraft Maintenance Engineers’ Association (JAMEWA) sought the aviation regulator’s intervention in recovering the dues, saying the management’s failure to keep its commitment of clearing their salary by March had “shaken” their faith in the company. “We request you to kindly intervene and direct Jet Airways to clear our dues and pay us our salaries on time in future to enable us to continue deliver safe aircraft,” the JAMEWA said in the letter dated March 19. Copies of the communication have also been e-mailed to the Prime Minister’s Office, Civil Aviation Minister Suresh Prabhu and the ministry’s secretary. Jet Airways’ engineers, pilots and senior management have not been paid for January and February, besides 87.5 per cent of their December salary is also due. Its pilots union, National Aviator’s Guild (NAG), had last week wrote to the government seeking its intervention in the recovery of dues on account of pending salaries. The engineers’ association said while the senior management was finding a resolution to be in the business, “we who inspect, troubleshoot and certify the public transport aircraft are in tremendous stress due to no-payment of salaries on time, since last seven months”. Jet Airways chairman Naresh Goyal had on Monday said that the airline has “consciously” and “pro-actively” decided to curtail its schedule according to the number of aircraft it is currently operating. Govt can finish of the terror groups in a covert operation, but it would have remained without publicity. Govt wants to issue a statement to various parties in one stroke. The Govt of India has been extremely successful in delivering the message. The parties have acknwledged the received message. Whether it shows videographic evidence or slain terrorist numbers is immaterial now.